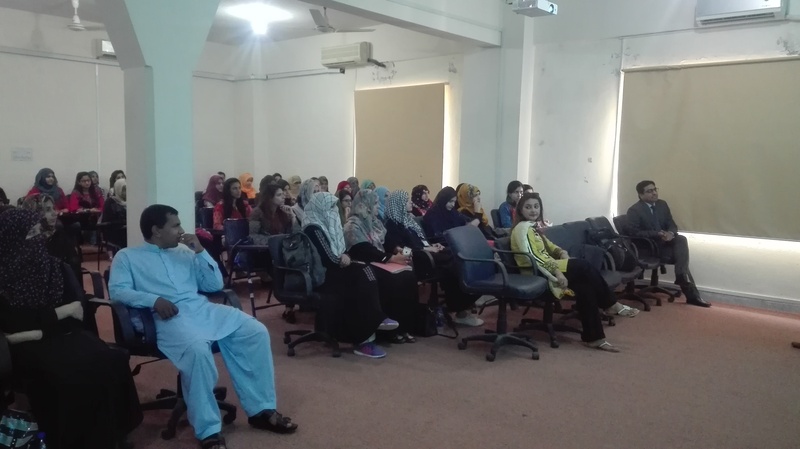 Mr. Ali Abid Naqvi from Child Protection and Welfare Bureau visited National Institute of psychology and delivered a lecture on “sensitization regarding preemptive measures and reporting child abuse”. While taking about the incidents of abuse on children who are working as domestic works he emphasize that there is a dire for legislation, so that rights of such children can be protected. He shared his experiences of working and rescuing children who are on streets and involved in begging and other activities. He empathized that it is responsibility of every citizen to report such cases by dialing the helpline that i.e. 1121 that responds 24 hrs. 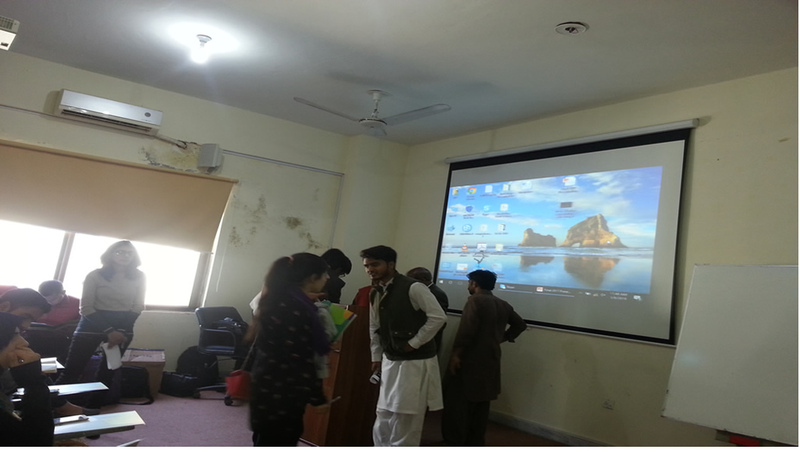 Moreover he shared with students the process of rehabilitation of rescued children where following all the legal procedures custody of child is taken and Bureau works for psychological rehabilitation of the child. He highlighted that Child protection Bureau has a proper system that works for both formal and informal education of the rescued child. He said that they are trying to provide a healthy environment to the rescued children so that they can become a productive member of the society. 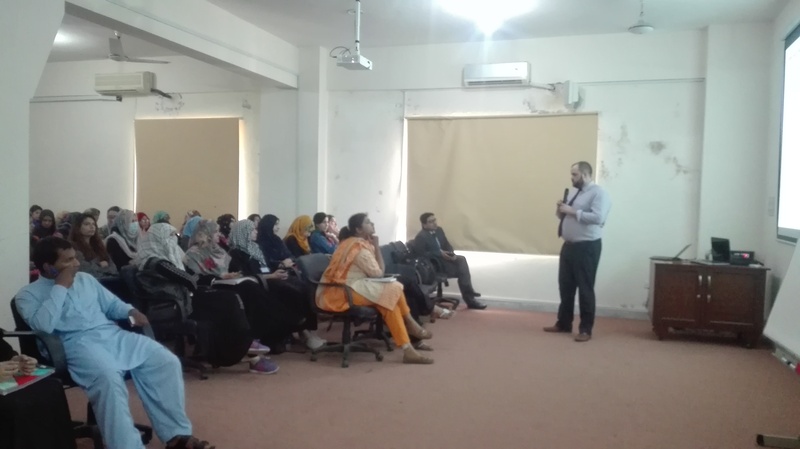 He encouraged students and faculty members to visit Bureau and work as a volunteer so that better intervention strategies could be designed and implemented for the welfare of rescued children. 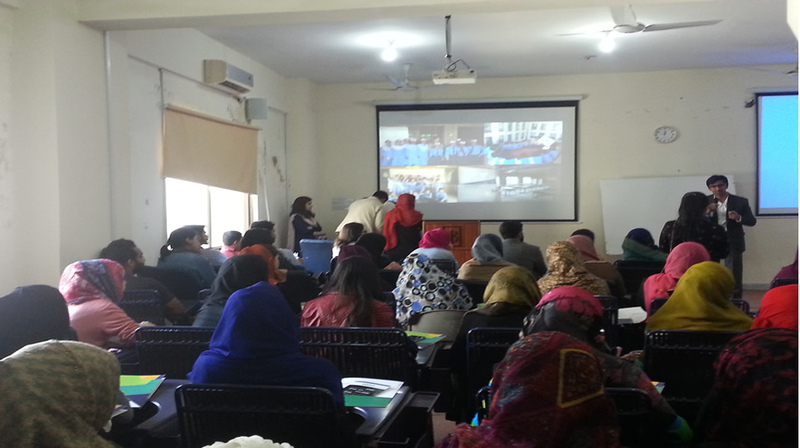 Ms. Sheena Sohail from Diocesan Board of Education shared her experiences of working as an educationalist. She shared that she has been delivering motivational lectures all over Pakistan and has worked with leading Institutions. She highlighted the fact that searching meaning and finding purpose of life can help an individual to direct his/her life and be a productive member of society. While interacting with students she focused on importance of self-awareness and creativity. She shared that every individual has different potentials. One needs to recognize his/her own potential and strive for bringing a positive change in community. One needs to work on maintaining his/her individuality. As learning to respect one’s own self can lead to satisfaction and overall better quality of life. One needs to keep the element of hope and optimism intact. She shared that tolerance and acceptance are key for building of societies that are accepting of itself and others. 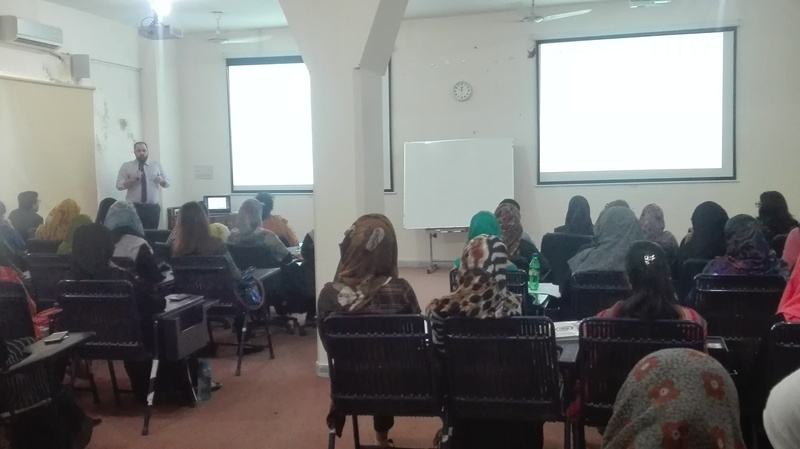 In continuation of Autism Awareness, a seminar was conducted at National Institute of Psychology regarding Autism. 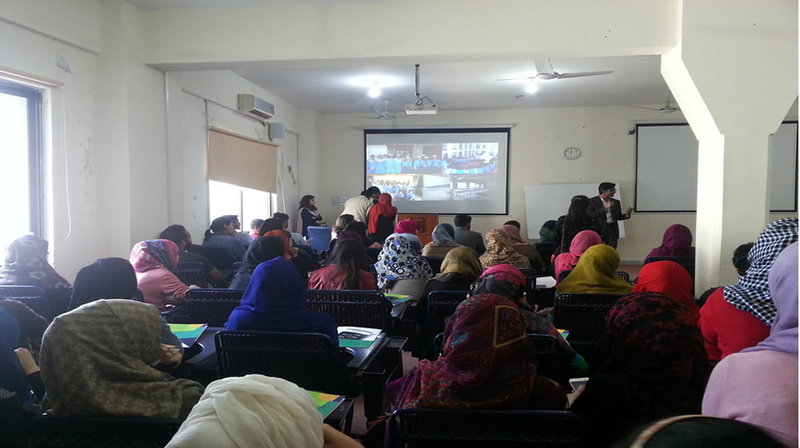 Ms. Fatima Sarwar (Coordinator, Autism Resource Centre) shared her experiences of working with children having autism. She highlighted the core symptoms of Autism and shared that it is unique in a sense that every child exhibits different symptoms. She has been working with these children since last two years. She introduced the technique of applied behavioral analysis. It has been considered as the most effective technique of working with children having autism. She highlighted the fact that it is important to involve family and teachers for effective intervention. Autism Resource Centre, is one of the few services available for children having autism in twin cities. It focuses on exclusive education and development of individualized education plans to deal effectively with the problems exhibited by these children. She concluded that though working with these children is challenging but it is important to intervene as early as possible. Early intervention is crucial for better management of problem. 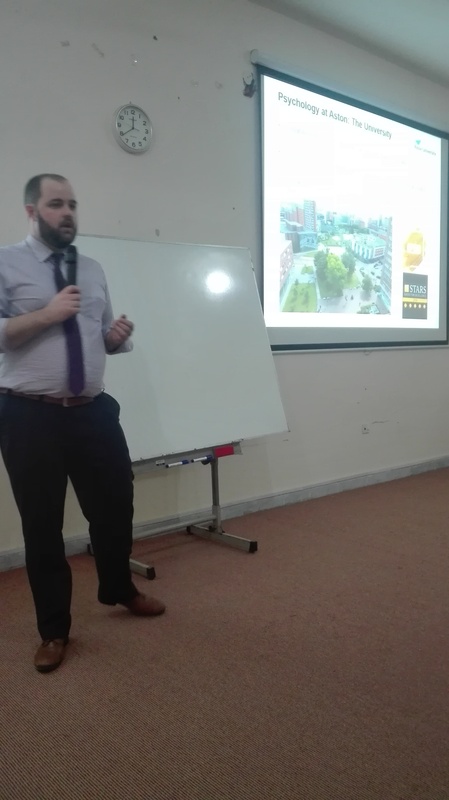 On April 2, two representatives from Aston University, Birmingham, UK visited NIP. 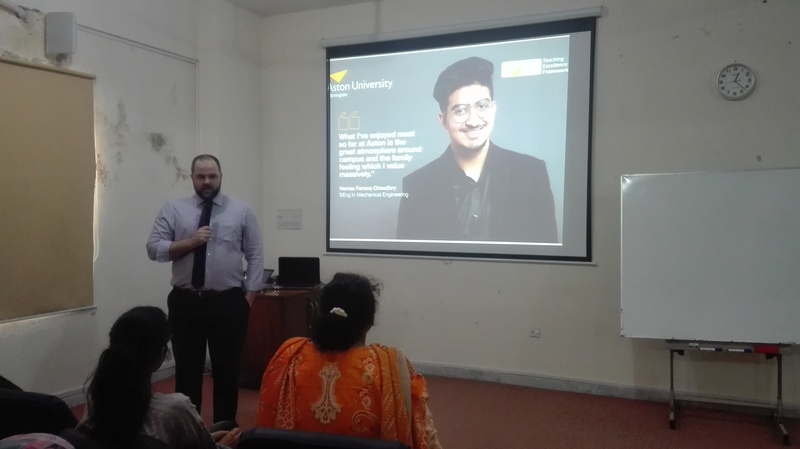 Thomas Austin (Regional Manager) and Muhammad Ali (Business Development) provided an orientation session on collaboration and research opportunities for students. Aston University, which is the 2nd leading university in UK, in the city of Birmingham, which has the highest quality of living outside London, has 80000 students. They have received accreditation from The British Psychological Society as Stage 1 Professional Training. 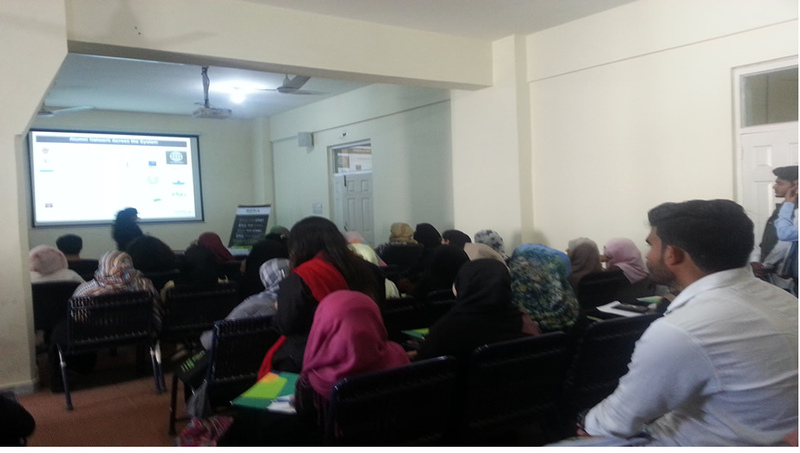 The session was focused on their MSc Health psychology program which is available on campus, and online as well. This program is one of the only two distance-learning courses accredited by The British Psychological Society. They also provide £3500-5000 pounds to students per course. They also informed that other private scholarships are also available and students can seek any information and guidance from them. 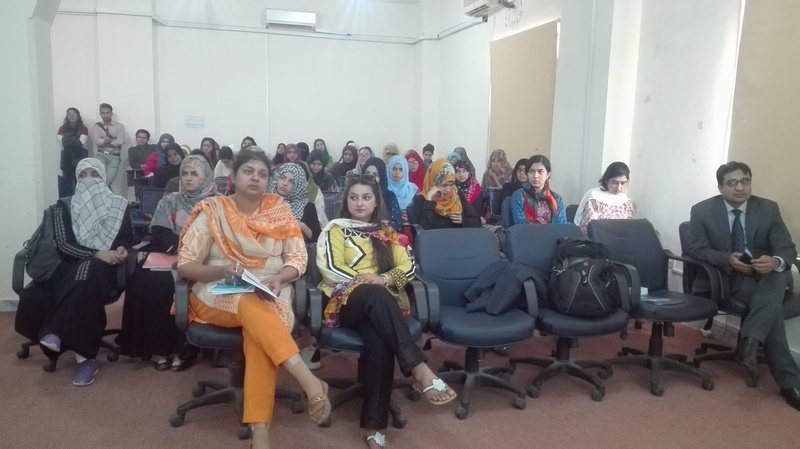 Teach for Pakistan, a non-profit company, held an information session at National Institute of Psychology on March 6, 2018. Teach for Pakistan was established in 2010. They recruit and train graduates who then go on to do the two-year Fellowship to teach in low-income schools that lack quality teachers. They are adamant on solving the dire education crisis in Pakistan where almost half the children drop out before even completing primary-level education, and some do not even enroll. 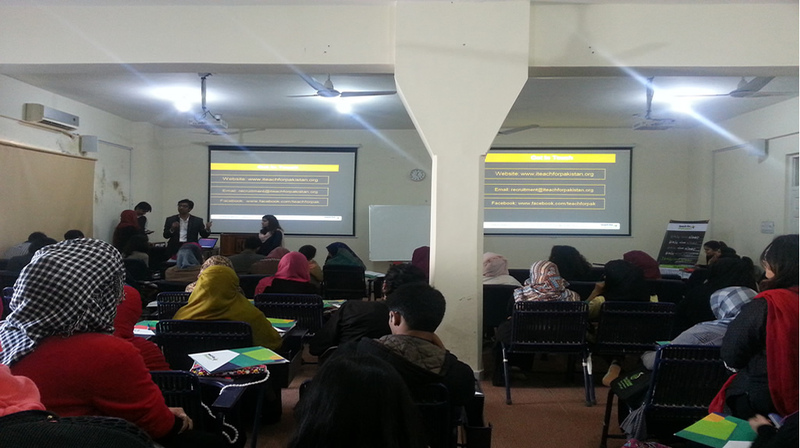 Ms. Zahra (Head of Development in Communication), Mr. Zain (Leadership and Training team), and Ms. Rahat (Recruitment team) lead an interaction session informing the student audience regarding their company, Fellowship program, their experiences with children, and the positive impact they’ve had on the lives of those children. They also talked about their Alumni who came from different educational backgrounds and went on to excel in different occupational fields.